English First Class batsman and, top-order batter for Sydney in McDonald's NSW Premier Cricket, Zak Crawley. Photo Sydney Cricket Club. Sydney has equalled the highest score ever recorded in the First Grade Limited-Overs Cup during the final preliminary round of the competition on Australia Day. The Tigers made a mammoth 5/365 from its allocated 50 overs in a convincing win over Manly-Warringah by 57 runs at Manly Oval. It equalled the record set by North Sydney against Fairfield Liverpool in 1994. The victory over Manly secured Sydney top spot on the table heading towards the quarter finals of the Limited-Overs Cup scheduled for Sunday 17 February. 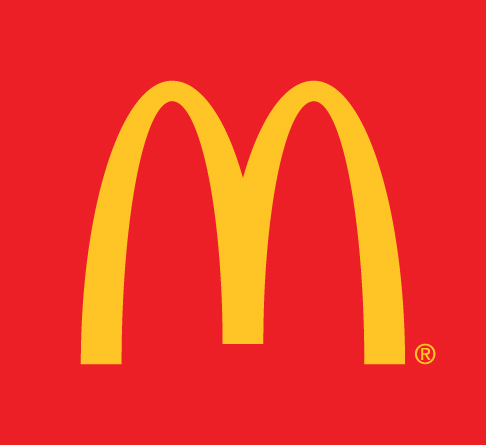 The fourth round of the Limited-Overs Cup on Saturday also coincided with round 11 of the overall McDonald’s NSW Premier Cricket competition, where Sydney is placed third seven points behind Sydney University, who defeated Campbelltown-Camden by 11 runs. English First Class batter, Zak Crawley, and South African-born and fellow County batsman, Stephen Eskinazi, both made outstanding centuries in the huge total for Sydney. Both Crawley (129) and Eskinazi (115) reached their centuries in less than 100 balls. The 20-year-old from England, brought up the milestone from just 87 deliveries, while Eskinazi reached his hundred from 90. The pair created a new record for the fourth wicket in the Limited-Overs Cup. They shared a 215-run stand. Crawley peeled off 13 fours and five sixes during his knock, while 24-year-old Eskinazi reached the boundary 10 times and cleared it twice. However, at one stage during the chase it looked like Manly-Warringah may complete an astonishing victory, courtesy of two teenagers. NSW Metro Under 19 captain Ollie Davies (100), in partnership with NSW Blues and Sydney Sixers batsman Jack Edwards (61), did their best to get the home side over the line. The pair of 18-year-olds shared a blistering partnership of 160 from 122 balls to move the score to 2/231 in the 33rd over, however the removal of the especially rampant Davies for 100 from just 68 balls, was pivotal. Manly lost 8-77 to be bowled out for 308. It was the second First Grade century for Davies and included an incredible nine sixes. Sixers off-spinner and, Sydney captain, Ben Manenti claimed 4-60. Sydney will now meet the eighth-placed St George in the quarter finals of the Limited-Overs Cup. The Saints dropped four places on the table after a heavy 166-run loss to Gordon at Chatswood Oval. Gordon was the only team to secure a bonus point on Saturday. After they posted 8/295 batting first, the hosts bundled out St George for 129 within 33 overs. Matthew Junk claimed the second five-wicket haul of his career in the win for Gordon. He collected 5-17 at an economy rate of less than two and, was well supported by fellow spinner Scott O’Brien, who returned 3-7 from just 3.1 overs. In his first season with the club, seamer Tom Ortiz (5-69) also claimed his maiden five-wicket haul for the Saints against Gordon. It was his third five-wicket haul in Premier Cricket. The previous two came while playing for Sydney. The haul also took Ortiz past 150 First Grade wickets to 153 scalps at an average of 27.58. Cameron Eccles top-scored for Gordon with 85 from 104 balls. The win moved the Stags to third position on the ladder and booked a meeting with sixth-placed UNSW in the quarter finals. UNSW was narrowly defeated by Penrith at Howell Oval. The Panthers chased down 200 for victory with just two wickets in hand and 16 balls to spare. The Bumblebees made an excellent start after they won the toss and elected to bat. English opener Harry Brook (85) and Joseph Byrnes (53) shared a 135-run stand for the third-wicket and moved the score to 140 before disaster struck. UNSW lost 8/59 to be bowled out for 199. In reply, Penrith lost consistent wickets, but opening batsman Tom Sargeant (78) held the innings together. However, when he fell with the score on 169, there was still work to do. Trent Weir (23 not out) and Luke Hodges (17 not out) completed the task. Suthangan Thanabalasingam claimed 4-27 in the beaten side. Brent Williams also chipped in with a valuable 4-33 for the victors. Penrith finished the Limited-Overs Cup in seventh position and will play Sydney University in the quarters. Blues opener Nick Larkin returned to Premier Cricket in fine style for the students in their win over Campbelltown-Camden at University Oval. Larkin made 138 from 142 balls, including nine fours and fours sixes, in a total of 260. It was his 17th hundred in the top grade. Opening bowler Luke Webb (4-64) claimed best figures for the visitors. In reply, Campbelltown-Camden was bowled out for 249. Swing bowler Tim Ley led the students to victory with a competent bowling display that returned 4-56 from his 10 overs. UTS North Sydney completed its sixth straight win in McDonald’s NSW Premier Cricket against Northern District. The decision to bat first paid dividends for North Sydney at Mark Taylor Oval. It posted 5/270 with captain Tom Jagot scoring his third century of the 2018/19 campaign. Jagot made 114 from 128 balls and shared a 102-run second-wicket partnership with big-hitting Sixers batsman, Justin Avendano (52). It set up a competitive total that the Bears comfortably defended. Northern District was bowled out for 192 in the 47th over. Matthew Alexander claimed his maiden five-wicket haul in First Grade for North Sydney in the win. He picked up 5-28 from nine overs including three of the first four wickets to fall for Northern District in the chase. Norths wicketkeeper James Crosthwaite also pouched four catches for the second time in three weeks. The victory sealed fourth place on the First Grade Limited-Overs Cup table for North Sydney. It will meet fifth-placed Bankstown in the quarters. Bankstown defeated Hawkesbury in tight contest at Owen Earle Oval. The visitors set the Hawks 275 to win after they finished 8/274 at the end of their 50 overs. Centurion Mitch Brown (104) and opener Daniel Solway (62) both laid the platform for the solid total. The pair added 112 for the third-wicket. In reply, Hawkesbury fell agonisingly short. It made 9/270 with Dale McKay (64), who passed fifty for the seventh time this season, top-scoring for the hosts. Like many other sides, a win for Hawkesbury could have earned the club a finals spot in the Limited-Overs Cup. Aidan Van den Nieuwboer collected 4-55 for the Hawks. Parramatta missed the finals of the Limited-Overs Cup, but kept its Belvidere Cup title defence on track, with a five wicket victory against Mosman at Allan Border Oval. Blues batsman and, Parramatta captain, Nick Bertus (113) went to the top of the tree in terms of run-scorers in NSW Premier Cricket this season. He made his fourth century of the season and edged ever closer to 1,000 runs for the season. During the 2018/19 campaign so far, Bertus has scored 979 runs at the magnificent average of 81.58. Throughout his 133 ball stay at the crease on Saturday, Bertus hit 10 boundaries. He shared a 155-run second-wicket stand with Tim Ward (71) to provide the foundation for the successful chase. Parramatta made 5/269 in reply to 9/265 posted by Mosman. Skipper Scott Rodgie top-scored for the Whales with 72 from 76 balls. Sutherland suffered its third straight defeat. Western Suburbs won yet another close contest by five runs at Pratten Park. Western Suburbs made 9/252 and, in reply, Sutherland was bowled out for 247 with three balls remaining. A quick-fire century by Tom Doyle (100 from 67) and, 108-run stand with keeper-batsman Aiden Bariol (42), put Sutherland in a strong position at 3/187 in the 36th over. However, the visitors tumbled from that point on. The century capped off a superb individual performance by Doyle. He also picked up 3-33 with the ball. 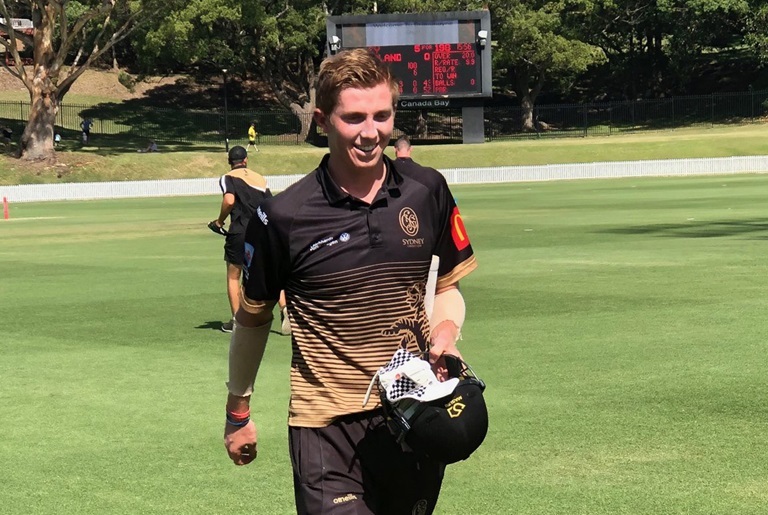 Quincy Titterton backed up his first five-wicket haul in the top-grade last week against Campbelltown-Camden with another match-winning performance for Wests. The opening bowler claimed 4-36 from nine overs. Blacktown defeated Fairfield-Liverpool by three wickets at Rosedale Oval. Blues paceman Liam Hatcher claimed 4-53 from 10 overs for the Lions. Blues and Fairfield-Liverpool team mate, Param Uppal, top-scored for the Lions. He made 50 from 83 balls and also picked up the handy figures of 2-17 from seven. Blacktown achieved victory in the 32nd over of the chase after it dismissed the home side for 113 within 44 overs. The victors finished 7/114. In the other match played on Saturday, an unbeaten eighth-wicket 111-run partnership between Angus Robson (52 not out) and seamer Stuart Meaker (61 not out) guided Eastern Suburbs to victory by three wickets against local rivals Randwick Petersham. Blues pace duo Henry Thornton (3-33) and Harry Conway (3-35), together with Meaker (3-42), were pivotal to a disciplined bowling display that dismissed Randwick Petersham for 179. In response, Easts were in trouble at 7/69, but thanks to Robson and Meaker reached the victory target in the 44th over. Western Suburbs 9-252 (A Isherwood 55 J Abraham 53 N Cutler 43 J Psarakis 36 L Sparke 24 T Doyle 3-33 D Fallins 2-45) bt Sutherland 247 (T Doyle 100 A Bariol 42 J Brown 29 Q Titterton 4-36 J Cook 2-40 A Isherwood 2-49) at Pratten Park. Standings: Sydney University 51 Penrith 47 Sydney 44 UTS North Sydney 43 Parramatta 37 Bankstown 37 Gordon 37 UNSW 35 Western Suburbs 34 Eastern Suburbs 32 Randwick Petersham 30 Sutherland 28 Blacktown 27 St George 26 Campbelltown-Camden 26 Northern District 26 Mosman 25 Fairfield-Liverpool 22 Hawkesbury 20 Manly-Warringah 19. Sydney 26 Sydney University 25 Gordon 19 UTS North Sydney 18 (0.3698) Bankstown 18 (0.2260) UNSW 15 Penrith 13 (0.9750) St George 13 (0.0643) Parramatta 12 Northern District 12 Campbelltown-Camden 12 Mosman 12 Hawkesbury 12 Blacktown 9 Sutherland 6 Randwick Petersham 6 Eastern Suburbs 6 Manly-Warringah 6 Western Suburbs 6 Fairfield-Liverpool 0. UTS North Sydney v Bankstown.